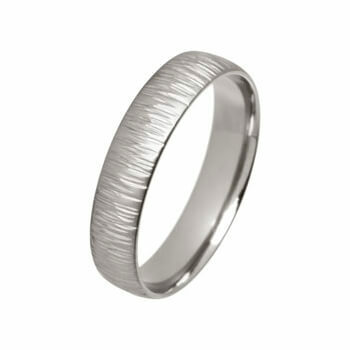 Fine ripples run across this wedding ring giving an interesting organic effect. The court shaped wedding band is 4mm wide and 1.8mm deep. This is a 4mm wide court shape titanium wedding ring. A fine ripple texture has been hammered across the outside of the band.